When you are in front of a potential vendor in their home you have a single opportunity to impress them with your presentation. This needs to be slick and professional with technology only used if it enhances the experience. 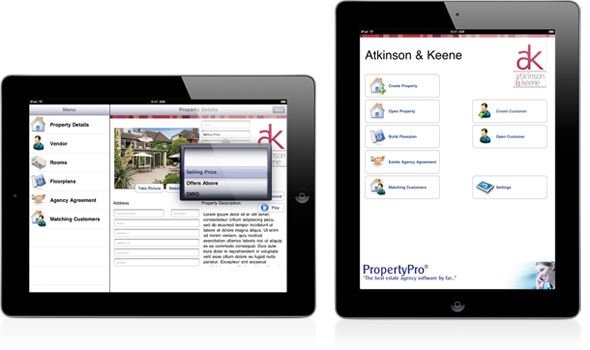 The iPad application can be used as a take on tool and will allow you to enter the property details including dimensions and room descriptions - this information can be typed or you can record and dictate into the iPad. You can also add the vendor details. 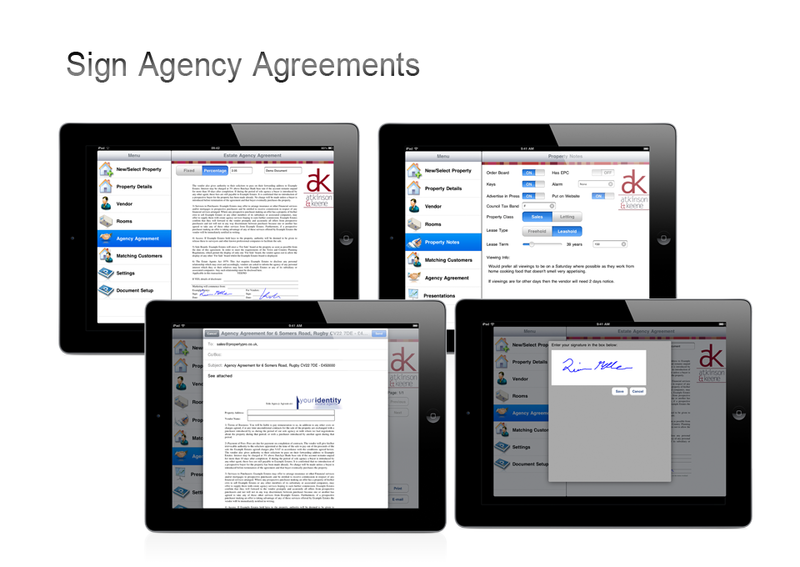 Your agency agreements can be added into the software allowing you to show the agreement to the vendor and they can sign directly onto the iPad allowing you to complete the take on process in one visit. You can have several agreements saved allowing you to select the relevant one during the appointment. We will be adding the facility to add floorplans into the iPad. 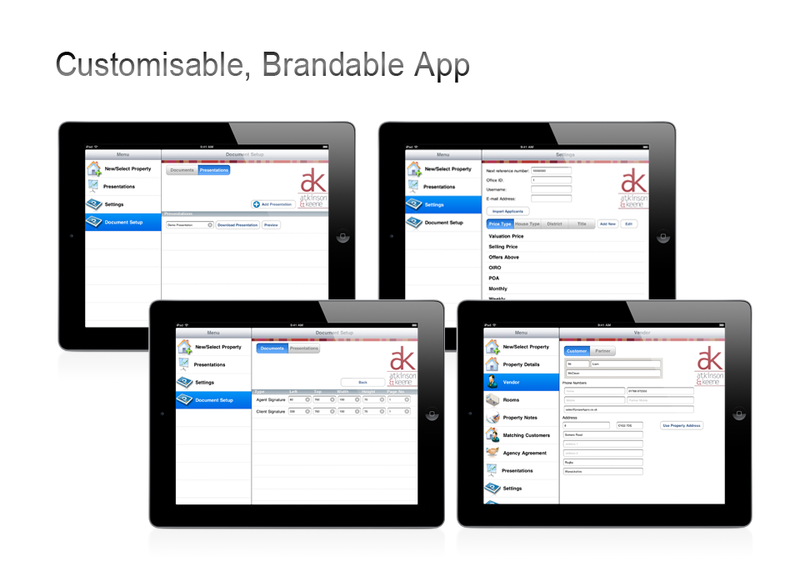 We have designed the iPad software so that you can use it offline and have no need for an internet connection. 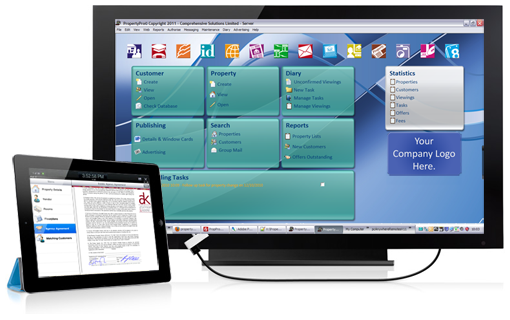 The iPad software can be used as a stand alone application and all information entered can be emailed to a chosen email address or uploaded by FTP to a chosen location. This will allow you to take the information from here and enter it into your current software. 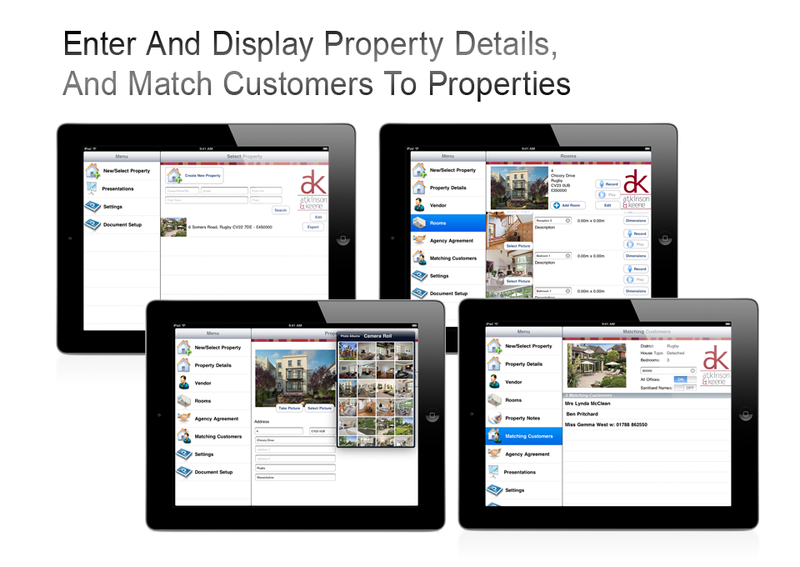 We are currently developing an interface into our PropertyPro software which will mean that the property and vendor record can be created in PropertyPro from the information entered into the iPad and you can also show comparable properties and show matching customers on your database to help you show how many people are on your existing database and would match at different price ranges. Once we have completed the PropertyPro interface we will then be able to look at creating interfaces to other software packages. If this is something you are interested then please let us know and we can evaluate this for you.